I am super excited for launch day! 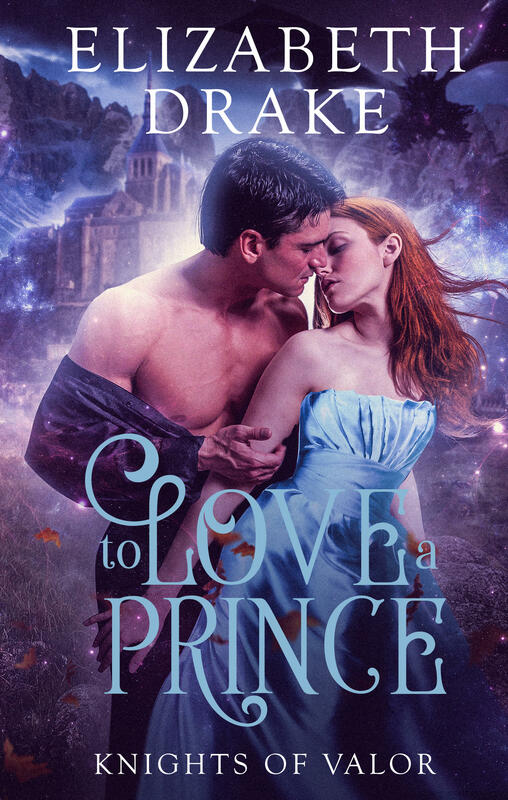 In celebration, I wrote a short story in the same world as to Love a Prince. I hope you enjoy it! Gabriel leaned on his cane as he scanned the angry ocean. Its waves rose and fell like daggers as it smashed the splinters of what had been a ship against the rocky shore. His leg ached from his exertions, but Gabriel ignored the pain. If he still wanted to still walk in ten summers, he needed to push himself now. Anger stabbed him, but he shoved it away. Self-pity did nothing to change his circumstances. He may no longer serve Dracor as he once had, but his mental faculties were sharp, he still rode horses, and he had his faith. The ghoul hadn’t taken everything from him. He glanced down at his damaged leg. But it had taken enough. A cry whispered on the bitter wind, and Gabriel glanced at the seagulls. Their plaintive calls washed over him, and a frown pinched his brow as he heard the sound again. More insistent this time if fainter. He’d listened to the old legends about sirens luring sailors to their deaths on these rocks, but he paid them little heed. The waters around Emerald Point were treacherous, and the number of shipwrecks had more to do with inexperienced captains than mysterious demon women. 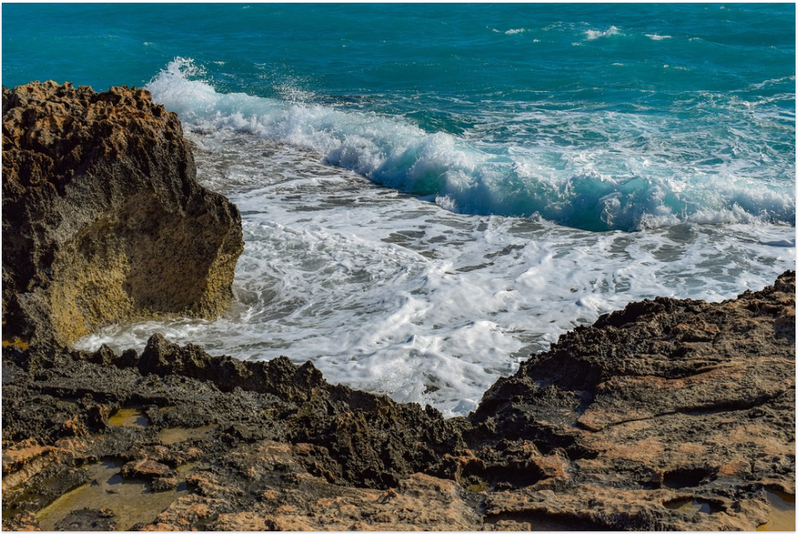 The cry came again, and Gabriel picked his way across the rocky beach and around the shattered planks deposited by a dozen or more shipwrecks. The ever-changing tide and jagged rocks made it impossible to know if the freshly splintered boards were from an old wreck or a recent one. Not that it mattered. In the rough waters of Emerald Point, no one ever survived a shipwreck. Yet, the cry came again. Fainter now, more plaintive. Gabriel cursed himself. He should go home, brew himself a pot of coffee, and forget whatever creature was trying to lure him. He’d fallen into a trap once, and it had cost him his leg. But he was a Knight of Valor. Even if he no longer served on active duty, he couldn’t ignore the cries of someone who needed his help. Limping across the beach toward the noise, Gabriel discovered a pile of boards hidden between rocks taller than a man. The cry came again. Louder. Sharper. It sounded close now, most likely under the boards. The cry of a child, scared and alone. He’d fallen for it once. He’d fall for it now. He could make no other choice. Setting aside his cane, he swallowed back the sour taste of fear and cleared away the boards. Carefully, lest one fall and crush the babe. If there was a babe. The crying grew more urgent as if infant, or whatever it was, realized someone was coming. Shoving aside the last board, Gabriel discovered a tiny child swaddled in a strange iridescent fabric. Tears stained the infant’s chubby cheeks, and she had strange golden hair that glittered in the morning sun. He leaned closer to her, and she opened her eyes. They glowed an unnatural shade of green and were larger than a cat’s eyes. Gabriel stumbled back, and his bad leg crumpled. He sprawled into the sand, water and rocks. He cursed as he pushed himself up to sitting and brushed off a vine of seaweed. The child cried again, her plaintive whimpers piercing his heart. He had no idea what she was. Maybe the offspring of the very sirens he’d dismissed. Her pointed ears whispered elven, but he’d seen plenty of elves, and none of them had eyes like that. Using his cane, he shoved himself back to his feet. The infant whimpered as she stared at him with her inhuman eyes. Gabriel clutched the amulet of Dracor he wore around his neck. He sensed no evil from the child, but she was frightened, hungry, and alone. Whatever she was, he couldn’t just leave her to be carried off my wolves or worse. Steadying himself, he limped back over to her. While dirt, sand, and seaweed clung to him, her blanket remained both dry and unsoiled. He frowned as he reached for her, and the press of magic pushed at his hands before dissolving. Some sort of protection bubble. He’d seen them before, but never anything powerful enough to withstand a shipwreck. Lifting the tiny infant, he held her close. She shivered and pressed against him, nudging his chest as she searched for food. He stroked her glittering hair, then took his canteen from his pocket. After saying a prayer to Dracor, Gabriel offered the child the water. She drank, her tiny face screwed up as she realized it wasn’t milk, but too hungry to refuse. After she’d drunk her fill, Gabriel took off his jacket and fashioned it into a sling. Tucking the child into it, he tied his jacket in place, holding her snug against his chest. Her strange eyes closed, and she drifted to sleep. Gabriel hoisted himself back to his feet. Thoughts of finding a wet nurse and figuring out how to care for the strange child until he could find her parents filled his thoughts, and he barely needed his cane as he walked across the rock-strewn beach to his cottage.